Today’s story is from rider Davis Finch. He tells his story of meeting Panzur – and how connecting with a special horse has helped him overcome anxiety and fear. In August of last year, I was ready to return to riding after a nasty fall but I needed a new horse to ride. 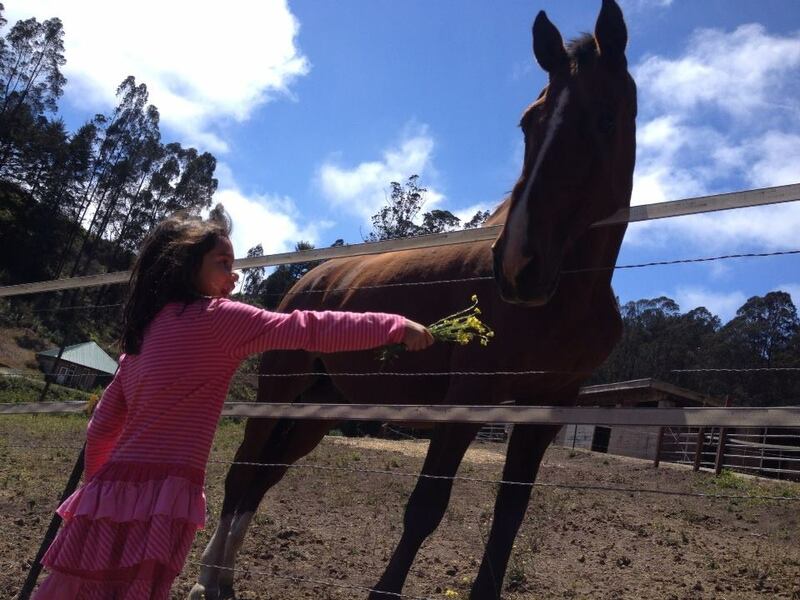 The fall made me realize the horse I was riding was too reactive for me and I no longer felt safe riding her. 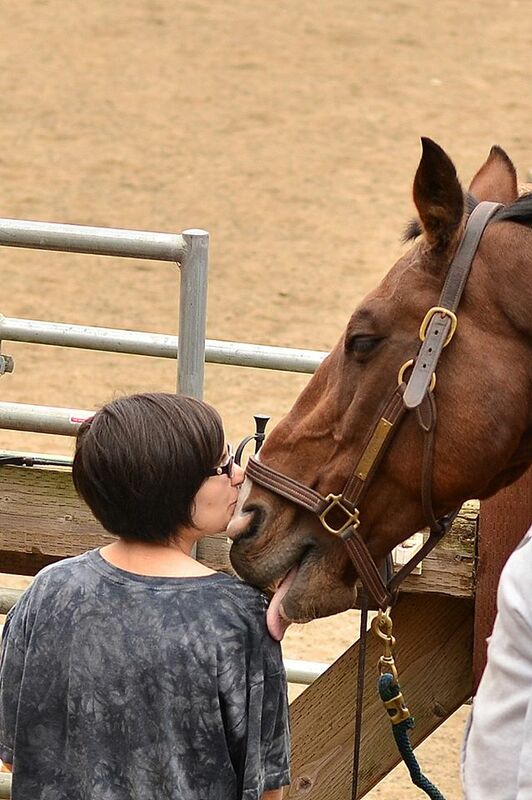 The plan was for me to ride Henry, a large Thoroughbred that could support a rider my size. 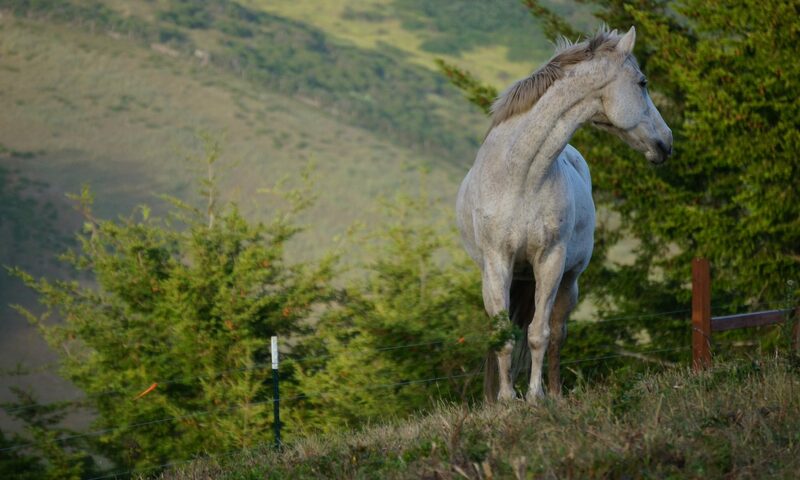 A few days before my first lesson back a 19-year old bay Holsteiner gelding named Panzur arrived at the ranch. The day before my lesson, I was having a bad day and didn’t have much time but Joell was adamant I meet the new horse. I visited him inside his stall, a tight squeeze owing to both of our large figures, and was smitten by his calm demeanor and sense of caring. 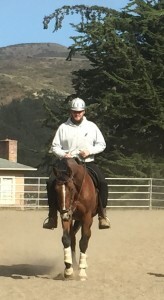 Despite being prepared for Henry, after meeting Panzur I knew he was the horse for my return to riding. The next day I had my first lesson after a horse gave me the scariest moment of my life and it was a success. His calmness and generosity were the perfect combination to counteract my anxiety. Since last August I have been riding Panzur weekly and my anxiety level has slowly decreased. While he is not the easiest horse to ride, he listens to me and we have a strong connection. 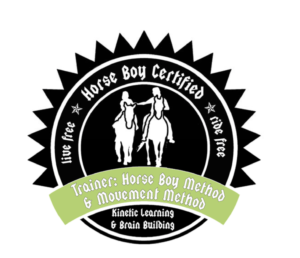 My primary motivation to return to riding after my fall was to feel that rhythmic movement of a horse walking. Riding calms my nerves and puts me in good spirits. I think it is the result of the hormone oxytocin. I am not the only person he has this effect on. 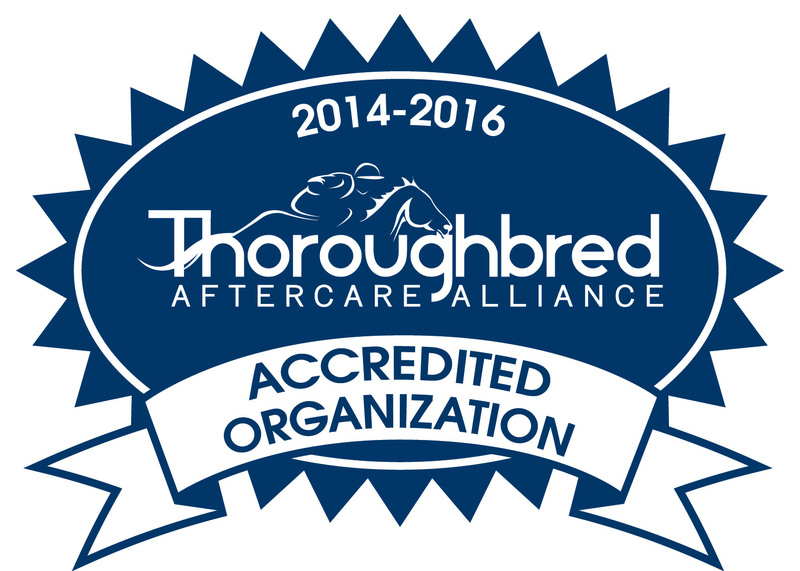 Panzur is the go-to horse for anxious riders including adults with eating disorders and kids on the autism spectrum. I am grateful to Laura Hansen for giving Square Peg her wonderful horse, Joell for guiding me in my lessons and everything else, and, of course, to Panzur himself for being so kind and giving. I feel I was destined to work with Panzur the way he showed up just in time for my return to riding. Sponsoring Panzur makes a special Holiday gift – The gift that keeps sharing joy and second chances for all of the Square Pegs who call the Ranch their community. 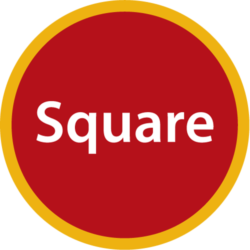 The staff at Square Peg will work with sponsors to create a special momento if you would like to gift his sponsorship to a loved one. A framed photo montage, a brass name-plate – The possibilities are fun – the gift is precious.